​This is an excellent debut about a girl who is nothing like me and yet who I was able to empathise with deeply. Francesca Vega is an ordinary teen trying (and often failing) to be a good person, when a younger brother she didn't know existed arrives on the scene. 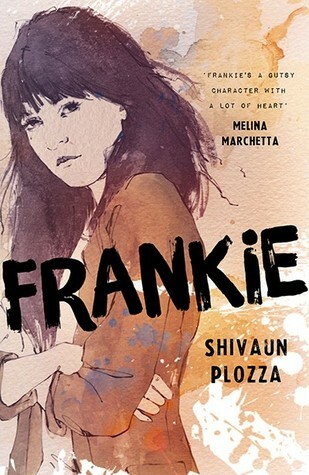 Frankie has the benefit of an aunt who loves unconditionally, but she struggles to maintain her self-worth in the face of rejection by almost everybody else, including her mother. She is a raw, realistic character who faces the world with her chin angrily up, and my heart broke for her more than once. The story is believable, the relationships are complicated and the writing is top notch - I highly recommend.